Bestowed with the rare and exotic Himalayan flora, the Valley of Flowers is a bouquet of nature peacefully snuggled in the West Himalayan region of Uttarakhand. The trek of Valley of flowers goes through dense forests, along with Pushpawati river and can be reached by crossing many bridges, glaciers and waterfalls on the way. This glaring piece of nature is an Indian National Park and a UNESCO World Heritage Site exhibiting plush meadows blossomed with endemic alpine flowers and diverse fauna in this valley. The region of Valley of Flowers is rich in varied flora and fauna. The valley of flowers was declared as the National Park of India in the year 1982 and it is now a UNESCO world heritage site. The virgin beauty of this mystical valley has always lured botanists, nature lovers and adventure lovers. Tucked at 3,658 metres in Bhyundar Valley, the Valley of Flowers in Chamoli district sprawls over a vast expanse of 87.50 square kms, measuring 8 km long and 2 km wide. Valley of Flowers is the second core zone of the Nanda Devi Biosphere Reserve blessed with numerous cascading waterfalls, silvery glaciers and thickets that greet the visitant at every step. Ghangaria, a tiny hamlet situated 13 km from Govindghat is the last human habitation centre on the way to Valley of Flowers. The valley of flowers seems to change its colors throughout the season from May to October, as blooms hundreds of different flowers, taking on various colours and shades as time progresses. The valley is home to many celebrated flowers like the Brahmakamal, the blue poppy and the cobra lily. It is a much sought destination for flower-lovers, botanists, trekkers, photographers, bird watchers and wildlife photographers. This valley is very popular among International tourists and thousands of foreigners flock to Valley of Flowers every year. Colorful bed of flowers in Valley of flowers, Uttarakhand. Opening Date of Valley of Flowers 2019: Valley of flowers will be opened on 1 June of 2019. Check out our Valley of flower 2019 tours. Closing Date of Valley of Flowers 2019: Every year valley of flower closes in October/November. Exact dates will be updated soon. 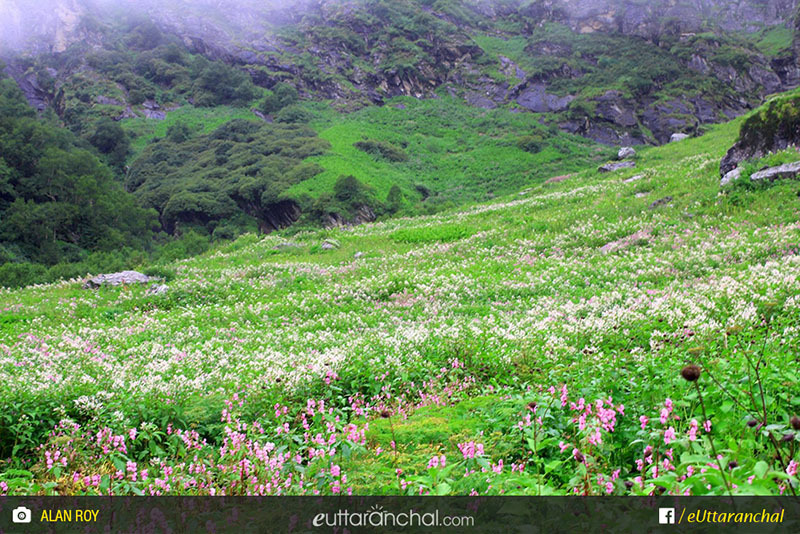 Start early from Ghangharia to have more time at hand when you are in the Valley of Flowers. It is a world heritage site and therefore you need to enter your names in the register, pay the entry fees and declare all plastic bottles you are carrying along. Entry to Valley of Flowers opens at 7.00 am every day and last entry is allowed till 2.00 pm. You should start back around 1 pm so as to reach back by 5.00 pm. Though the Valley is beautiful in May, June and September. But for maximum number of flowers in July and August are most preferred months. Tourists are not allowed to stay overnight in the Valley of Flowers and therefore there is no accommodation in the Park. You can stay at private lodges and hotels at Ghangaria, the base camp for your trek to the Valley of Flowers. There are no eating points in the valley and it takes around 5 to 8 hours to explore the valley. It is highly recommended to take packed lunch, refreshments in your day pack, if you are heading towards the flowers valley. Note: Be a responsible tourist and do not leave anything behind in the valley. Do carry back all the packaging material/waste and wrappers along with you and dump it at Ghangharia. In the year 1931, three young British Mountaineers Frank S. Smythe, Eric Shipton and R.L. Holdsworth went astray from their path while descending from Mt. Kamet. 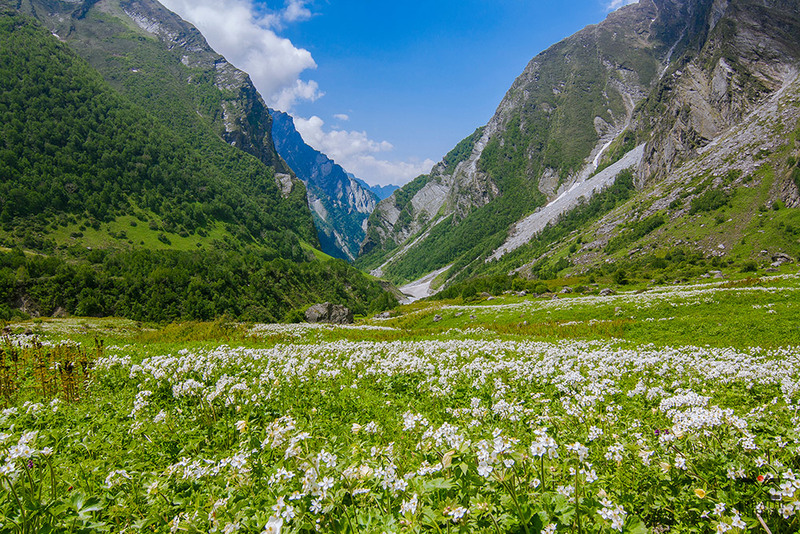 The group accidentally reached a valley which was blanketed with alpine flowers and was left in the awe with its beauty, thus naming it as “The Valley of Flowers”. One of the climbers Frank S. Smythe later wrote a book called the ‘Valley of Flowers’. The locals always knew about the existence of the valley and believed that it was inhabited by fairies and Gods. For a beautiful trekking experience, nothing can be a better choice to indulge in an unforgettable and electrifying trekking expedition in the Valley of Flowers, Uttarakhand. Valley of Flower trek in Himalaya is a beautiful and a must do trek by every trekker, who wants to trek in the Himalayas. The traditional trek itinerary is given below, however you you can be little more adventurous by checking out this Old Trek route to Valley from Hanumanchatti. The trek towards the Valley begins at GovindGhat or Pulna Village, after crossing the Alaknanda river across a hanging bridge. The zig-zag mule track straightens through an ascending valley of terraced fields and vegetation. The trek becomes more exciting after Pulna Village - the Laxman Ganga becomes swifter, and between the green, rocky mountains, you can catch a glimpse of snow-clad peaks. The 7 kms trail from Pulna to Bhyundar village is full of nature's scenic splendours including cascading waterfalls and cold water springs. Shrubs and wild roses grow abundantly and Rhododendrons colour the area with pink and dark red. Small wayside tea stalls run all across the route and young and enthusiastic tourist guides can be engaged at Bhyundar village. After resting awhile here, the trek on the right bank of the Laxman Ganga continues through the rich vegetation till a log bridge, supported on huge boulders, is reached. Crossing over to the left bank now, the trail becomes steeper and harder and 2 kms. 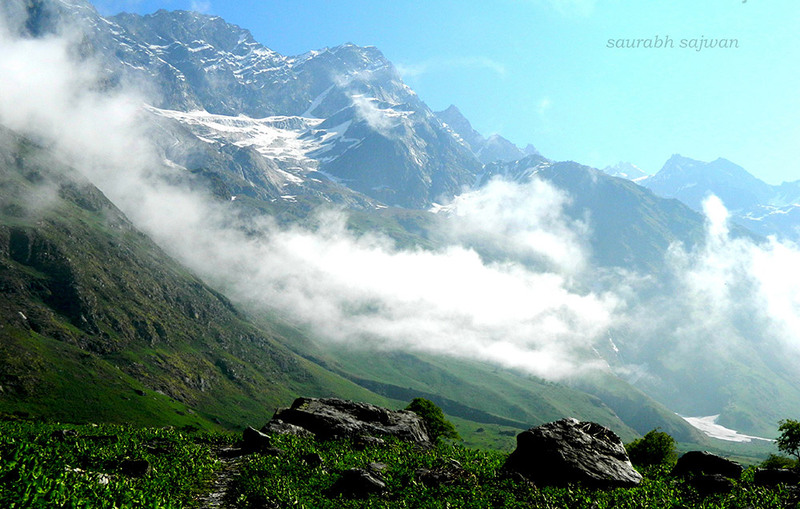 from here, you will reach Ghanghria, the base camp for treks to Valley of Flowers and Hernkund Sahib. Trek Update: A swift trek route to the Valley of Flowers has been carved which will easily guide you towards the empyrean floral valley. To make your sojourn rewarding a new motorable bridge has been erected in Govindghat, connecting 4 km towards the Valley of Flowers till Pulna Village. So now the tourists have to trek only 10 km to reach Ghangaria (the base camp of Valley of Flower Trek). Planning to visit Valley of flowers but you are not sure about the itineray so here we can help you. Check the detailed itinerary for valley of flowers trek. Early morning leave for Joshimath from Rishikesh. It is located at a distance of 255 km away from Rishikesh and is the winter abode of Lord Badrinath. You’ll reach Joshimath by evening, check in at a hotel and have an overnight stay. You can get direct buses to Joshimath from Rishikesh bus station or if you are looking for a comfortable journey then you can book a taxi to Joshimath from Rishikesh. eUttaranchal tip 1: To save money use public tranpost to Joshimath. Incase of no dirct buses to Joshimath, break your journey to reach your destination or go for sharable jeeps like Tata sumo & max. Post breakfast, drive to Govindghat about 22 km away from Joshimath. Start trekking towards Ghangaria with packed lunch. Ghangaria also known as Govind Dham is the base camp for Hemkund Sahib and the Valley of Flowers trek. After completing 10 km trek, you will reach Ghangaria, where you will spend the night in. A beautiful waterfall on the trek route of valley of flower. Note: Now the distance of 4km from Govindghat to Pulna village is motorable. Earlier you had to walk 14kms to reach Valley of Flower National Park but after 2013 flood a new route has been constructed by govt. for travellers visiting to Hemkind and Valley of flowers. 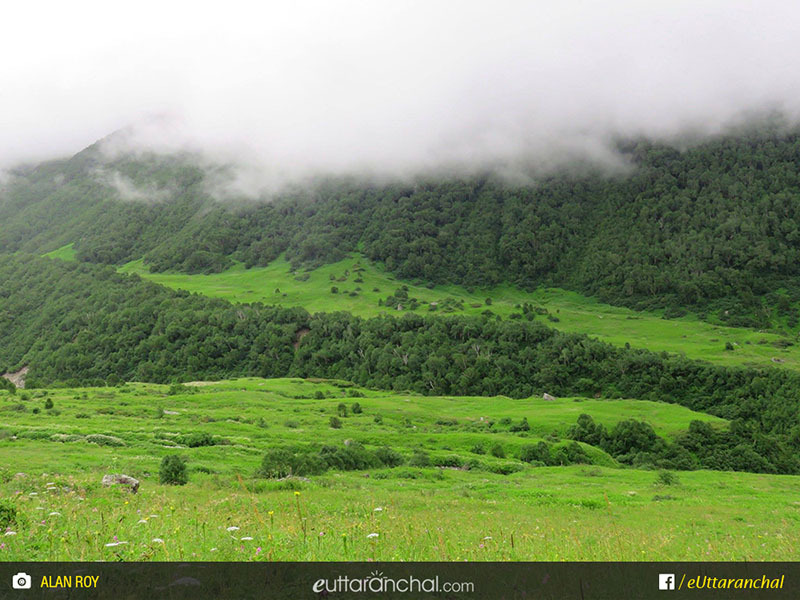 eUttaranchal tip 2 : If trekking on a steep is a tough task for you then there is a good news for you. At Govindghat there are plenty of ponies, you can book one pony for your journey to Ghangaria. However, to enjoy the views & trek route, try to trek by yourself, also you can book pony only for your goods only. Birds Eye view of Ghangaria. Today all your hard work will finally pay off as you will hike to the Valley of Flowers National Park. The swift trail will walk past the thick vegetation consisting of the exotic Himalayan flowers and the wild flora, creating an alluring canvas. A trail in Valley of Flowers National Park. You can see several bubbling streams casually meandering through the valley. This beauteous place is a hub of various birds, butterflies, and insects. After exploring the valley, return to Ghangaria and have an overnight stay. Post breakfast, start off by commencing the 10 km trek to Govindghat and then drive to Joshimath via Badrinath. On reaching Joshimath, check in at a hotel and have an overnight stay. After having a nutritious breakfast, drive to Rishikesh and say goodbye to the hills. Been to several places in the Uttarakhand Himalayas but nothing can beat Valley of Flowers trek. When I visited in early August, the valley was at full bloom. Not sure, but I atleast saw over 100 varieties of wild flowers in the valley. the landscape of the valley is in itself a treat to the eyes! It had been over 3 years since I visited the place but the memories are still fresh. Would definitely visit again. eUttaranchal Team was prompt in answering all my queries that helped me plan the trek more confidently. I had been dreaming about this valley since quite sometime and finally packed by bags in Aug last year. What a place! simply amazing. I wish I could camp inside the valley which is strictly not allowed. Enjoyed the trek. For an avid trekker like me, the valley of Flowers is definitely no less than a wonder on earth. One must visit this place once in the lifetime. The arrangements for the trek were really nice, skilled staff and informative guide. Wonderful experience. Awesome place. I bet you wouldn't have seen this much of flowers in your lifetime! Just go for it. Monsoons in the best time to visit the valley. What is Valley of Flowers National Park famous for? Valley of Flowers National Park is famous among tourist as Trekking, Flowers, Vegetation, Flora and Fauna, UNESCO Site. 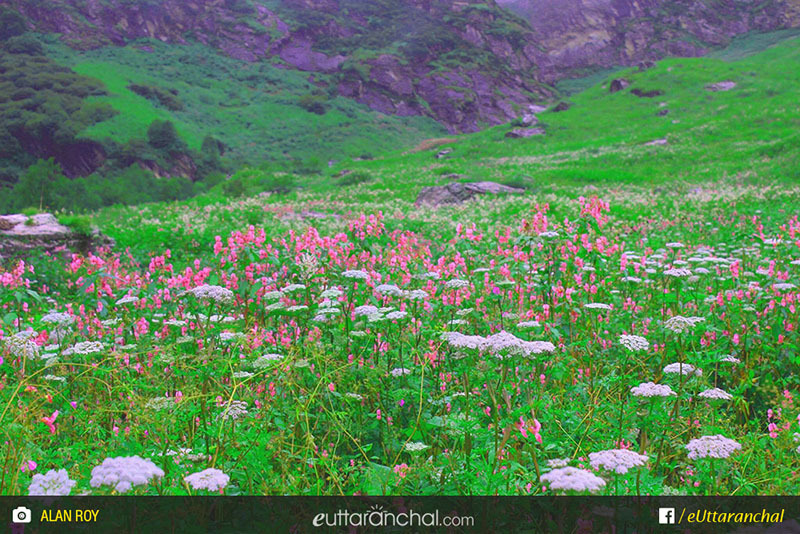 Valley of Flowers National Park is recommended destination for Corporates, Family and Kids, Foreigners, Groups, Solo. Valley of Flowers National Park is popular destination for following activities/ interests - Adventure, Bird Watching, Emerging Destinations, National Parks and Wildlife Sanctuaries, Trekking, UNESCO World Heritage Sites, Wildlife Tourism. Travelling to Valley of Flowers National Park in 2019? Contact us for planning your Valley of Flowers National Park tour with best travel packages of as per your requirements!